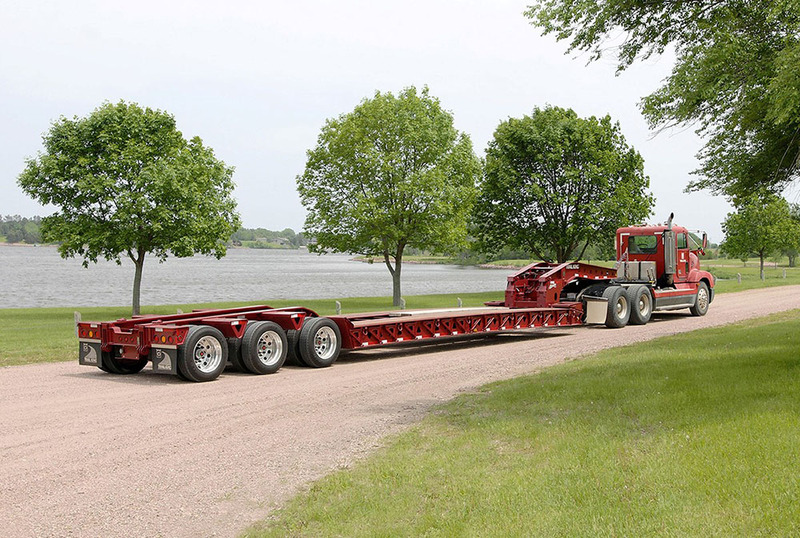 Hydraulic Detachable Gooseneck Lowbed - Kingpin Trailers LTD.
For more than two decades, Trail King’s Advantage Plus! 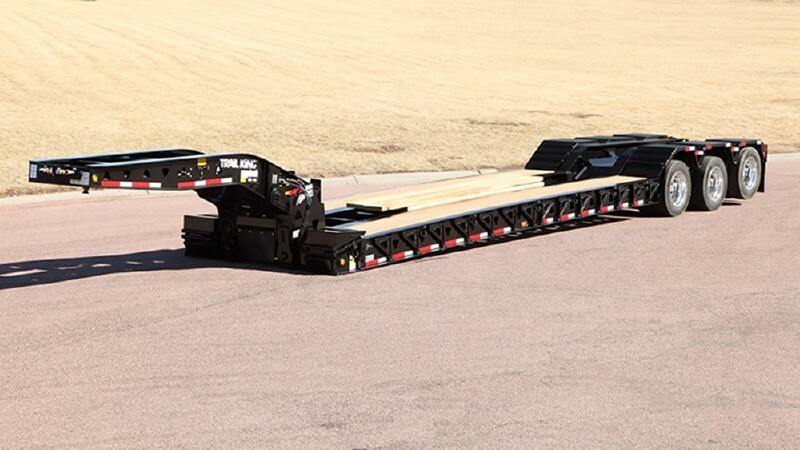 Hydraulic Detachable Gooseneck (HDG) trailer has been North America’s best-selling detachable lowboy…and for good reason. Engineered to make unhooking, loading/unloading, and hooking up again a simple one-person operation, the Advantage Plus! HDG has become the “go to” choice for construction professionals. The HDG’s dependable load-hauling strength, durability, and versatility can stand up to any challenge…even “tough to scale” loads. The Trail King Advantage Plus! 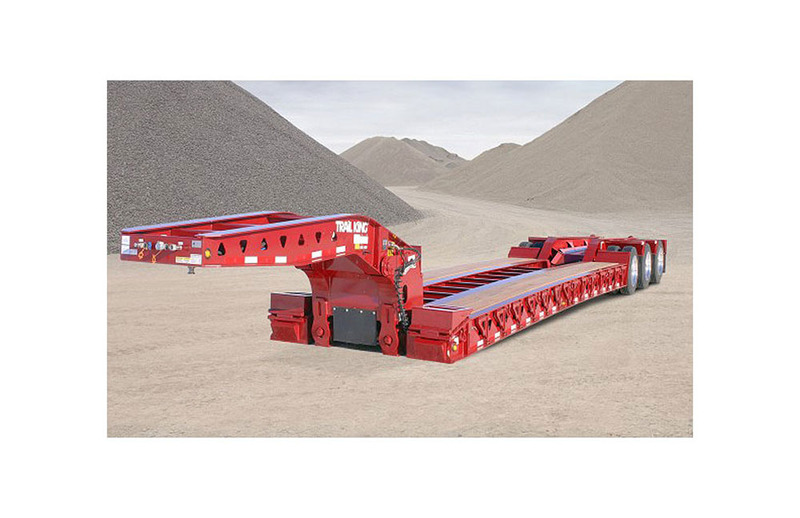 HDG…destined to be the best detachable lowboy you’ll ever own. gooseneck door adjustment allows for a full 6″ range of king pin height settings. The notched setting control bar for the control handle takes the guesswork out of setting the gooseneck doors in the desired position. operation. The guide rim above the pin hole further prevents the main pin from uncoupling during transit. 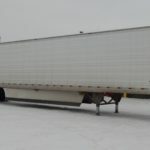 When the gooseneck cylinder doors are closed in the transit position, a safety pin automatically locks the main pin in place so that it cannot jump out of the pin hole and accidentally disconnect the trailer. I-beam style outriggers are mounted on the top and bottom flange and span the entire width of the side beam for optimum strength and support. Heavy-duty pullout front outriggers provide extra strength at the pivot point where the weight is concentrated during loading. Close-set outriggers at mid-deck prevent planks from tipping up when the load rolls over them. The 31” front loading ramps are doublehinged and reinforced with a support ledge for added strength. Because both hinges rest on the ledge, even heavy track-type equipment can be loaded without risk of “peeling off” the loading ramp. Lowered cross members are covered with 1⁄4″ MF80 steel for a knuckle trough in the rear deck area. Lowered cross members through the entire wheel area, including a lowered center section in the rear channel, are covered with 10-ga. steel. A third axle with lift is standard equipment on TK102HDG and TK110HDG models. Rubber-mounted LED lights are standard, as well as a sealed “plug and play” electrical system. Rubber grommets protect the wiring wherever it runs through the frame. And should the operator forget to disconnect the lines before detaching the gooseneck from the bed, a replaceable jumper cable between the neck and the deck makes replacing a damaged line easy and convenient. Trail King I-beams are constructed of one-piece web and flange material and welded on all four corners to seal and protect the seams from rust. 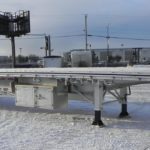 The entire trailer is primed and painted with a two-component polyurethane primer and paint before decking and air, hydraulic, and electrical lines are installed, for complete protection from the elements — even in places you can’t see. Adjustable ride height control is standard on TK102HDG and TK110HDG models, with the controls conveniently located near the rear tail channel. Capacity (in 12′) 70,000 lbs. 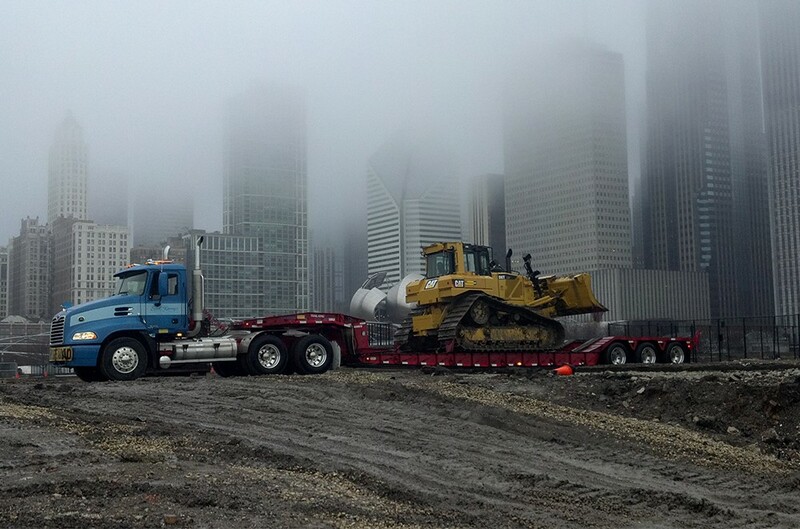 102,000 lbs 110,000 lbs.